Now the nebulas are small in the 130PDS field, but the whole scene is interesting. 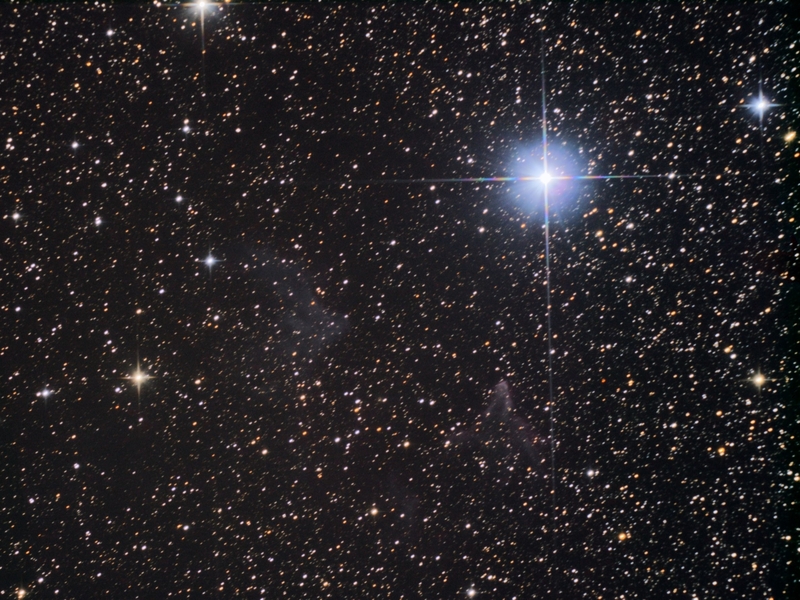 Good sky seeing and transparency helped keep Gamma Cassiopeia ("Navi") glare far from the interesting nebulosity. Disclaimer: elongated stars and lack of fine nebula details due to erroneous Polar Alignment.